Barbara Cartland and her relationship with Lady Diana has never been far from the worlds spotlight – and now a new story breaking across the world has been revealed by the Royal Biographer Penny Junor. Princess Diana had the wrong perspective about life when she married Prince Charles. 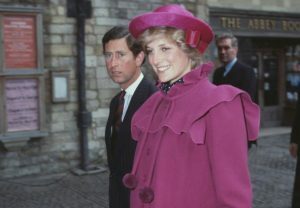 According to Matthew Kirkham, a journalist for Express, the late Princess of Wales “placed too much idealism in her step-grandmother’s romance novels.” Princess Diana was a fan of the romance novels written by Barbara Cartland, who was dubbed the “Queen of Romance.” Prince William and Prince Harry’s mother was hoping that she would find the same happiness as the characters in the book. Princess Diana placed too much faith in fairy tales and romances found in the Queen of Romance’s books that she developed “unrealistic expectations” when she dated and eventually married Prince Charles. Princess Diana’s wrong idea about love affected her marriage with the future king.